We're proud to say that each Gaucho Grill is 100% manufactured in the USA. Gaucho Grills are built to order providing each client with their own customizing options and personal touches. System. The Brasero side and rear plates are heavy-duty, robust, carbon steel plates, painted in a black high-temperature powder coat finish. The crank wheel is a 12” diameter solid aluminum wheel with a matte blasted finish. The Gaucho Grills base frame is fabricated from heavy duty Square Tubing (Not angle) and painted in long lasting, high temperature black powder coat. Our Cabinet doors have 5 choices of color all in the same long lasting, high-temperature powder coat finish. 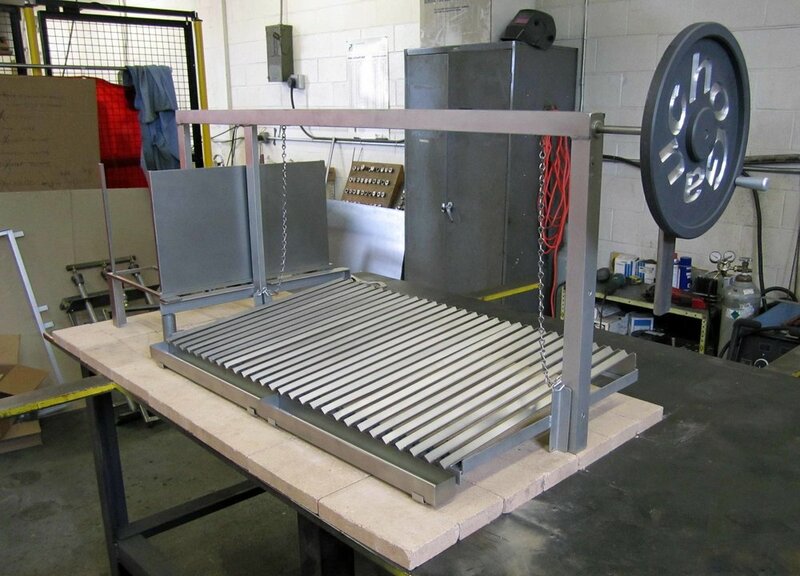 The grill frame, brasero frame, grill carriage, 'V' Groove grill plates and drip trays are all fabricated from 304 stainless steel. All assembling hardware is 316 stainless steel. 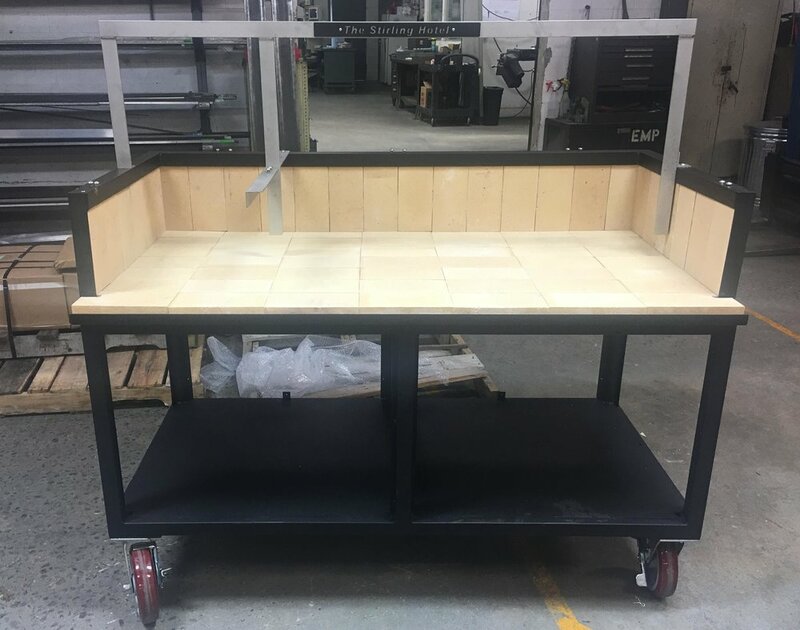 Mounting holes are provided on all our frames to allow for future adding on of options including the rotisserie and hood options. This is what robust construction means to us! Three Gaucho Grill technicians standing on the base frame of a Gaucho Grill. Can your grill hold this much beef?